“We started in Cooley with a workforce that had never distilled whiskey, that knew nothing about it, a management that knew nothing about whiskey, and we have won 300 awards over 20-odd years. This is a huge source of satisfaction.” John Teeling on the success of the Cooley project. 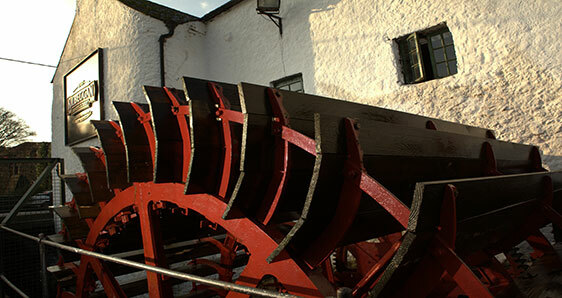 Competition is a driving force for growth and innovation, but from the time Bushmills was bought by IDL in 1973, just one company controlled all the whiskey distilleries in Ireland. It was hardly ideal. 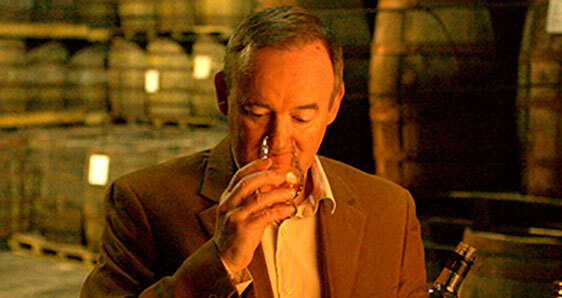 For this reason, businessman John Teeling deserves some of the credit for the healthy state of the Irish whiskey industry. In the late 1980s he took on the IDL monopoly by buying a Government-owned industrial alcohol production plant on the Cooley peninsula and installing two pot stills purchased from Northern Ireland and two column stills. The Cooley Distillery was born and everyone was forced to stay on their toes. Teeling’s strategy was to provide something different to Midleton and Bushmills, opting for double-distillation rather than triple. With the help of Scottish distiller Gordon Mitchell, the stills were set up to produce a mellow, honied and fruity distillate. By plan or by fortune, they also started producing a peated spirit, almost unheard of in more recent Irish distilling history. Cooley set about buying up old brand names of long disappeared, but not quite forgotten whiskeys. He added the names of Tyrconnell, Lockes, Kilbeggan and Millars to the stable, creating instant heritage. 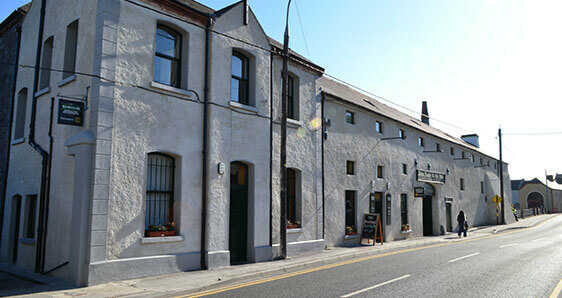 But the real coup was the purchase of the old Lockes Distillery at Kilbeggan, Co Westmeath. The Locke’s Distillery is Ireland’s oldest and can trace its foundation back to 1757, but, like most distilleries in the country, it had fallen on hard times and ceased distilling in March 1957. 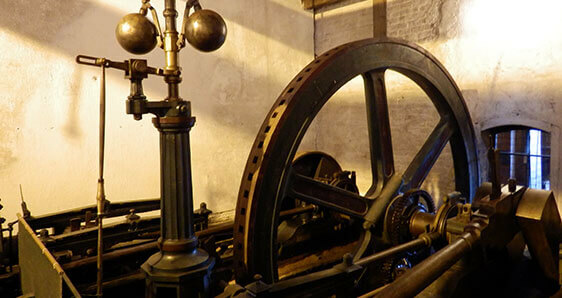 But locals realised the value of having such an historic cottage industry style distilling operation in the area and preserved the building and most of its equipment, maintaining the license to distill too. The success of the Connemara and Tyrconnell brands got Cooley through a few scrapes, including a take-over by IDL in 1993 that fell foul of the Competitions Authority. And in 2007, the Locke’s Distillery started making whiskey again. 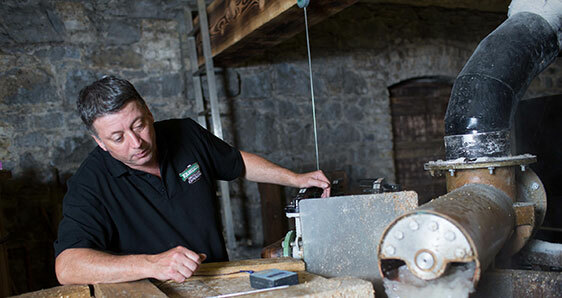 A small old pot still that originally came from the old Tullamore Distillery had been unearthed in storage. A second identical one was made to order and now a small boutique style operation is in full flow at Kilbeggan. In December 2011 the company that comprised Cooley and Kilbeggan was sold to Beam Inc for €71m. 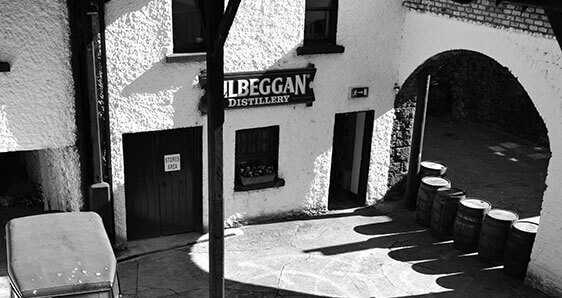 The new operators decided to focus the branding on Kilbeggan. Beam, in turn, was taken over by Japanese distilling giants Suntory earlier this year. Millars is a great blended Irish whiskey that has sadly been discontinued. We have a very limited am..
A rare limited edition Lockes Single Malt that was bottled using some of the earliest spirit made at.. 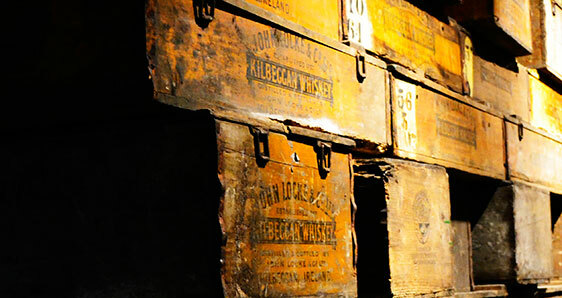 Most likely dating from the 1950's, and around the time the old Kilbeggan Distillery closed. Thi.. This is the traditional ceramic crock bottling of Lockes 8 Year Old single malt. Lockes 8 year old s..